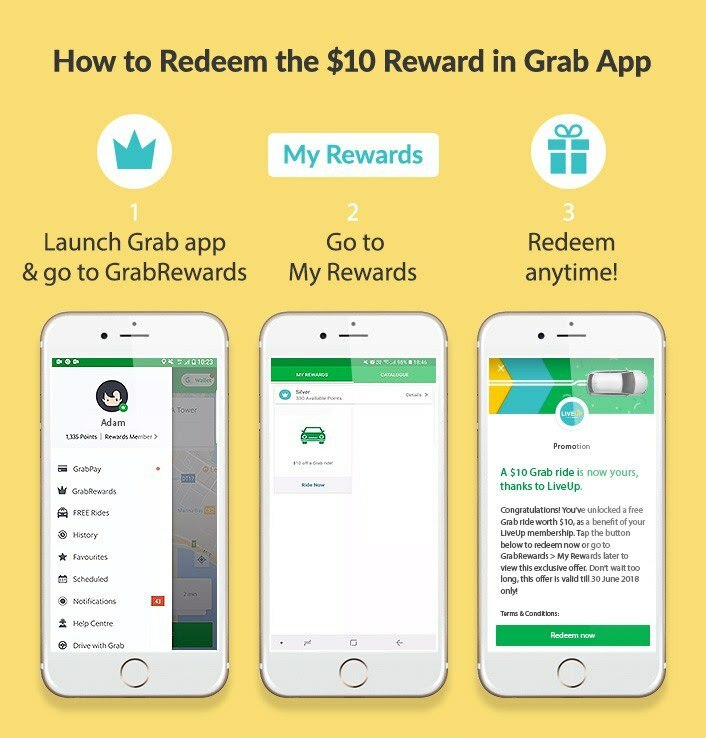 Earn a S$10 Grab voucher upon the completion of 9/19/29 rides from now till 30 June 2018. 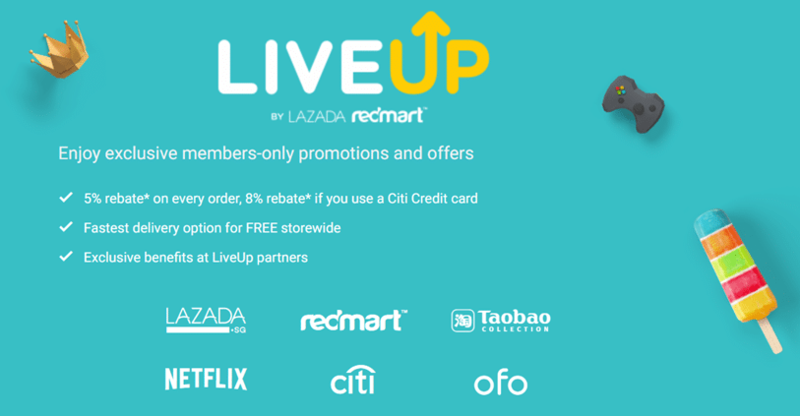 LiveUp is a loyalty program anchored by Lazada and Redmart. It costs $28.80 a year ($49.99 from the second year) and comes with perks at several e-commerce merchants including Uber and UberEats. You get $10 off every 10th ride with Uber (capped at 12 rides per year), plus refunded delivery fees with UberEats. Why I say “trialing” is that the FAQ caps the benefit up to 3 times use between 16 April and 30 June 2018. My guess is they want to see the response and takeup rate before deciding whether to make this a permanent feature. This trial is all the more interesting to me given SCORE, Grab’s recent tie up with NTUC. I can’t imagine that NTUC will be too pleased with Grab working with a direct competitor, so let’s see where this goes. The earning period has started already (it started at midnight on 16 April) but the implementation feels a bit rushed. As of right now, there’s no way to see if your membership has been activated in the Grab App, and the FAQs indicate that this is still a work in progress. This is a good move by LiveUp to keep its membership value for money, and I’m hoping it becomes a permanent feature. Look out for an emailer from LiveUp with instructions on how to activate this benefit once it’s ready. Received an email, says pretty much the same thing as the website which is… nothing much. It’s basically magic to link the Grab and Liveup accounts for now, so I’m not entirely sure how they’d start counting the rides once they finally send out linking instructions. LiveUp should word it as 9/18/27 since a ride using the $10 voucher is treated like a ‘normal’ ride. Next Entry Can Singapore Airlines fix the issues with its new A380 Suites?